Aside from the Great Wall, the resting place of the hundreds of preserved terracotta warriors is one of the most visited places in China. But although these warriors are numbering in the hundreds, none of them can harm you. It’s the road warriors in China that you must watch out for. Right now, the number one cause of death in China for people under 45 years old is traffic accidents. This is the most dangerous place to drive and it doesn’t help that in this country, most drivers lack experience. In fact, many drivers don’t even have a license. It’s no wonder that the number of traffic fatalities in this country is one of the highest in the world. 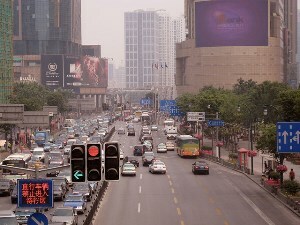 In China, drivers run red lights. Bigger cars bully smaller cars on the road. It’s like there are no road rules at all. This can make your trip very dangerous unless you’re careful. If you’re only in China for a short time, hire a car. As you are not familiar with the roads, this is the safest option. Just make sure the driver is duly licensed and has a good driving record. If you’re working in China or have to stay for a long period of time, it might be best to buy a car. You can apply for a license from the Chinese authorities, or hire a driver to drive it for you. This is often the better option as drivers in China are inexpensive and they will know the roads. Your International Driver’s License is not valid in China so you will need to pass the Chinese test to drive here. You can do all the paperwork yourself if you like but it takes a lot of time, so you can ask the driving school to do this for you and just take the practical test. Don’t forget to buy travel insurance. This is the wisest driving advice in China that you can get. If you already have a driver’s license, you need travel insurance to protect you from many unforeseen driving circumstances. A good travel insurance policy will protect you and your wallet from any driving mishaps.